“The world looks so different after learning science. For example, trees are made of air, primarily. When they are burned, they go back to air, and in the flaming heat is released the flaming heat of the sun which was bound in to convert the air into tree. [A]nd in the ash is the small remnant of the part which did not come from air, that came from the solid earth, instead. Fallible people misunderstand God’s Word. Fallible people misunderstand God’s world. and great humility is required as we interact with those with whom we disagree. The PCA Creation Study Committee a Dozen Years Later: What Does Science Say Now? 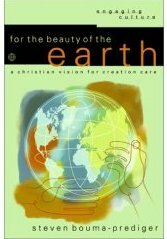 The Creation Study Committee reported their results in 2000 without establishing a firm position on the age of the earth. The report encouraged the PCA to consider what additional scientific understanding might develop in the future to assist in answering the question of age. This seminar will provide an update on the scientific evidence for an ancient earth using examples non-scientists can easily apprehend. Pastors and theologians are generally familiar with the biblical arguments surrounding questions of the age of the earth, but few have access to scientific data that they can understand. Most rely on information from young earth organizations that do not adequately or accurately reflect conventional scientific understanding. When information from these sources is passed on to students and congregations, Christ, as the author of truth, is poorly represented. More importantly, our members are inadequately prepared to wrestle with challenges to their faith when encountering the actual scientific evidence. Church leaders need to be aware of the evidence even if convinced it is wrong. 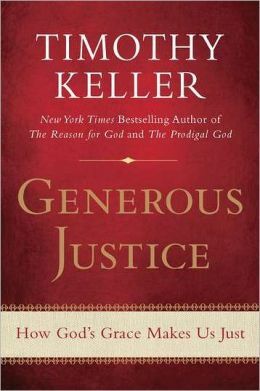 The seminar will explicitly acknowledge the authority and preeminence of scripture over natural evidence, while also recognizing that God’s natural creation can sometimes aid in choosing between plausible biblical interpretations. Gregg Davidson is a member of Christ Presbyterian Church in Oxford, MS (PCA), a professor of geology at the University of Mississippi, and a member of a non-profit organization called Solid Rock Lectures that is devoted to proclaiming Christ and reconciling science and faith conflicts. Ken Wolgemuth is a member of Kirk of the Hills Presbyterian Church in Tulsa, OK (EPC), a PhD geologist working as a consultant in the oil industry, and also a member of Solid Rock Lectures. The PCA is a theologically conservative denomination, firmly committed to the inerrancy of Scriptures. Within the PCA, there are both young-Earth creationists and adherents of an old Earth. 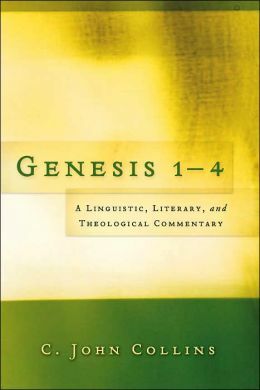 The Old Testament faculty at the PCA’s Covenant Theological Seminary includes C. John Collins, who makes a very strong case that the Bible doesn’t set a date for creation in his excellent book Genesis 1-4: A Linguistic, Literary, and Theological Commentary. 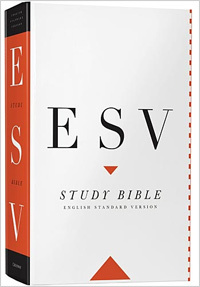 Collins was the Old Testament Editor for the highly-regarded ESV Study Bible. The PCA Creation Study Committee of 2000 could not come to a Biblical consensus regarding the age of the Earth, which is as it should be. There is enough ambiguity in the opening chapters of Genesis, that Biblically-speaking, one could go either way. The report did state, as indicated in the seminar description, that scientific evidence could be useful in determining which side is correct in this debate. One of the goals of this seminar seems to be to present the case that the scientific evidence weighs very heavily on the old-Earth side. Davidson was one of the co-authors of the article PCA Geologists on the Age of the Earth, which appeared in Modern Reformation magazine, and I suspect the speakers will make a similar geological case in their seminar. Not surprisingly, there is opposition from the young-Earth side to the inclusion of an old-Earth perspective in the schedule. Some are concerned that only one side of the issue is being presented. In some settings this might be true, but there are a number of seminars listed in the brochure where there might be some disagreement over one issue or another, and the organizers have no obligation to include all viewpoints on all issues. I would be surprised if at next year’s General Assembly there were not a young-Earth counter-seminar to balance things out. Others are concerned that old-Earthers are given any voice at all, especially old-Earthers who advocate evolution as well. It seems that some would prefer a young-Earth monopoly within the PCA. The scientific evidence for an old Earth is overwhelming, contrary to the claims of the young-Earth creationists. Sea salt does not point to a young Earth. Volcanoes do not point to a young Earth. Dinosaur footprints do not point to a young Earth. Sedimentary rocks do not point to a young Earth. The Grand Canyon does not point to a young Earth. The RATE project does not provide convincing evidence for a young Earth. The young-Earth creationism movement has consistently presented poor arguments for their position, and it is important that the church has this opportunity to hear the old-Earth side. I suspect, however, that the main thing most General Assembly attendees need to hear is not the geological evidence for an old Earth, but the case for the ambiguity of Scripture regarding the age of the Earth. The Bible does not teach a young Earth, and it doesn’t teach an old Earth; it is open-ended on the topic. 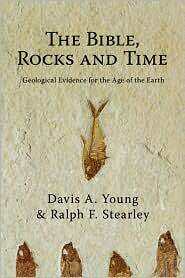 This seminar on geological evidence will not convince anyone that the Earth is old if they have Biblical reasons for denying the evidence. Many YECs have only heard the Biblical case for a young Earth, have been taught that all old-Earth interpretations are merely compromises with the world, and that acceptance of them will only lead to theological liberalism or apostasy. The Bible requires a young-Earth — No it doesn’t. 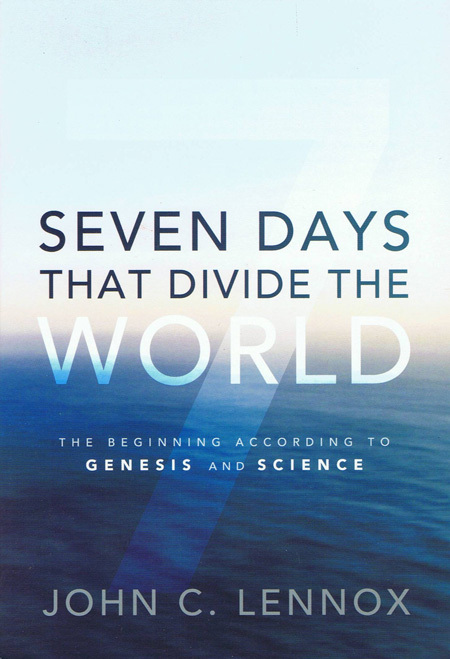 The Bible teaches that the Earth was created in six days. Much of the debate is about whether the word “day” (Hebrew: yom) requires six consecutive 24-hour days (the young-Earth viewpoint), or if it can be interpreted in Genesis in some other way. Yom is used figuratively at least once in Genesis 1-2. Genesis 2:4 states “These are the generations of the heavens and the earth when they were created, in the day that the Lord God made the earth and the heavens.” (ESV) “Day” in this passage refers to the entire creation week, not to a literal 24-hour day. If it can be used figuratively once, it might be used figuratively elsewhere in the passage. Collins develops a much more extensive case for the analogical use of yom in his commentary on Genesis 1-4 I referenced earlier. The Bible requires that there be no animal death before the fall of Adam — No it doesn’t. I’ve addressed this issue in my post Death before the fall — an old Earth Biblical perspective. The Bible requires a global flood — No it doesn’t. 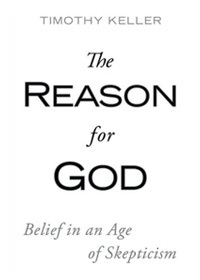 I written on this topic in The YEC “Did God really say?” tactic. One can make a thoroughly Biblical case for an old Earth (or again, Biblical ambiguity about this secondary issue), without reference to geology, astronomy, or other historical sciences. Once people see this, they will be more open to what God has revealed in his creation regarding Earth’s history. Given the potential for tension at this seminar, I hope and pray that there would be a spirit of grace upon all who speak and attend. The June 2012 issue of the Institute for Creation Research’s Acts & Facts magazine came to my mailbox this week, and the short article “Volcanoes of the Past” by John D. Morris caught my attention. The article argues that Noah’s flood was a time of massive volcanic eruptions (“supervolcanoes”), and that volcanic activity on Earth is now experiencing a rapid post-Flood decline. The cornerstone of young-Earth creationist (YEC) geology is the belief that Noah’s Flood was global in extent, occurred sometime around 2300 BC, and is responsible for most of Earth’s geological features. For a variety of reasons that I have discussed elsewhere (here, here, and here for example), I don’t think that any of this is Biblically necessary nor scientifically viable. A corollary of this “Biblical Catastrophism” or “Flood Geology” is that the catastrophic activity of Noah’s flood continued after the deluge, but with exponentially declining intensity over time. According to this theory—which is not held by all YECs—the centuries after the Flood were chaotic times, with rapidly changing climate (including a single ice age), rapid sedimentation, and biological diversification. According to some, much of Earth’s Cenozoic record was deposited during these few short centuries. The difficulties with this scenario are almost as numerous as the problems with YEC flood geology, but I won’t get into that now. Through an understanding of today’s volcanic eruptions, we can better comprehend those of the past. However, the rock record of the past suggests that yesterday’s volcanoes were evidently “supervolcanoes,” accomplishing geologic work hardly comparable to those we currently observe. If we plot the volume of ash and lava extruded by volcanoes throughout history—comparing Vesuvius (79 A.D.) and Krakatoa (1883) to more recent volcanoes, such as Mount St. Helens (1980) and Pinatubo (1991)—we come to the conclusion that the earth processes are quieting down. Then if we plot the materials blown out by volcanoes that erupted during the great Flood and soon thereafter (inferred only from the materials left behind), then we conclude an exponential decline in the power of earth’s volcanoes over time. Flood volcanoes were many times greater than those recently witnessed. The article includes a graphic showing volumes of volcanic products from several eruptions, with an obvious decline from the Huckleberry Ridge Tuff from the Yellowstone (Island Park) eruption (2500 km3), down through Mount St. Helens (a mere 1 km3). A person with little or no geological background reading the article and examining the figure could only come to one conclusion: There has been a steady decline in the intensity of volcanism on Earth. There are a number of problems, however, with Morris’s article. This USGS diagram is highly selective as well, as it lists only a handful of eruptions, but it is much more representative of actual trends. The Holocene (Recent) Epoch—which all YECs would consider post-Flood—has a history of a wide range of volcanic eruptions, ranging from very small to large eruptions such as that of Tambora in 1815 and Mount Mazama approximately 7700 years ago. There is no evidence that I know of that the frequency or intensity of any eruption type is decreasing with time. Instead, smaller eruptions are occurring almost continuously around the world, while the larger eruptions occur with frequencies measured in centuries or millenia. Morris named four historic eruptions as part of his evidence that volcanism on Earth is slowing down. If we plot the volume of ash and lava extruded by volcanoes throughout history—comparing Vesuvius (79 A.D.) and Krakatoa (1883) to more recent volcanoes, such as Mount St. Helens (1980) and Pinatubo (1991)—we come to the conclusion that the earth processes are quieting down. One could selectively choose four or more eruptions to show any trend they wanted: increasing volume, decreasing volume, steady volume, or random. It would be far better to look at thousands of eruptions over a long period of time, and Morris has not done that. The trend is from largest to smallest to something in-between. Again, Morris selected the two eruptions that supported his thesis and ignored the other eruption. But there is much more to the story of Yellowstone. In between the mega-eruptions, and in the time since the most recent, Yellowstone has had numerous smaller eruptions of rhyolitic and basaltic lava. Therefore the trend in Yellowstone is really mega-small-mega-small-mega-small. But there is more: the Yellowstone volcanic area is part of a string of volcanic centers that extend from northwestern Nevada through the Snake River Plain up to the area of most recent explosive activity in Yellowstone. There have been dozens of “supervolcano” eruptions along this trend, with hundreds or thousands of smaller eruptions in between. A third problem with Morris’s article is that the more ancient rock record isn’t just a history of supervolcanoes. Throughout Earth history there have been large volcanoes and small volcanoes. The large volcanoes include explosive “supervolcanoes” such as Yellowstone Caldera, Long Valley Caldera, and Toba, Indonesia; and also flood basalts (the term “flood” has nothing to do with Noah’s flood) such as the Columbia River Basalts. But throughout the same time period there have been numerous smaller eruptions, whether from stratovolcanoes such as Mt. Fuji or Mt. Rainier, or from even smaller volcanoes such as cinder cones and maars. It is clear that there is no trend in Earth history going from larger volcanic eruptions to smaller. Young-Earth creationists might counter by saying that it is still a fact that there have been massive volcanic eruptions in the past, and that none of these are occurring today. The standard geological explanation is that the larger the eruption, the greater the time gap between eruptions. Yellowstone apparently erupts every 0.6 to 0.9 million years; we may be due for an eruption, but it could still be hundreds of thousands of years away. These eruptions are spaced too far apart to say whether or not their frequency is changing over time. The YEC has a greater problem, and that is trying to fit a large number of very large eruptions into a very short time. If the Yellowstone eruptions occurred after the Flood (the distal ash is in what most YECs would call post-Flood deposits), then three very large eruptions had to occur in the span of a few centuries perhaps just a little more than 4000 years ago. In between these eruptions there would have had to have been time for weathering, vegetation growth, and a number of smaller volcanic eruptions. All of these volcanic deposits would have had to be emplaced in time for the Ice Age, which lasted only a few hundred years. And all of this is a gross oversimplification of everything that would have had to have happened in a very short period of time. Unfortunately, most Acts & Facts readers will be completely unaware of the numerous weaknesses in this article. Morris has not made a case that the frequency or intensity of volcanism is decreasing with time. With love for my YEC brothers and sisters in Christ, and with prayerful concern for those who are turned away from Christianity by bad arguments in defense of the Bible. P.S. This post-Flood residual catastrophism concept actually has led to one of the best papers to come out of the YEC movement, Earthquakes and the End Times, by Austin and Strauss. A common claim among end-times prophecy teachers is that the frequency and intensity of earthquakes has been increasing over time, leading up to the return of Christ. Austin and Strauss refute this teaching, calling it a Christian urban legend. One impetus behind the article, aside from the fact that there is no geological evidence for an overall increase of earthquake activity on Earth, is this YEC idea that intensity of all sorts of geological activities should be declining over time. I briefly discussed the “Earthquakes and the End Times” article back in 2007 (here).